4-Word Review: This is really embarrassing. The fictional country of Sardun is being threatened by their neighbor Gamibia and mercenary General Duke Gurerra (Henry Silva). This prompts two Sardun representatives (Edward Mulhare, Persis Khambatta) to travel to the desert and request help from a secret group of soldiers who have advanced vehicles and weapons that can help stop the Gamibian aggression. 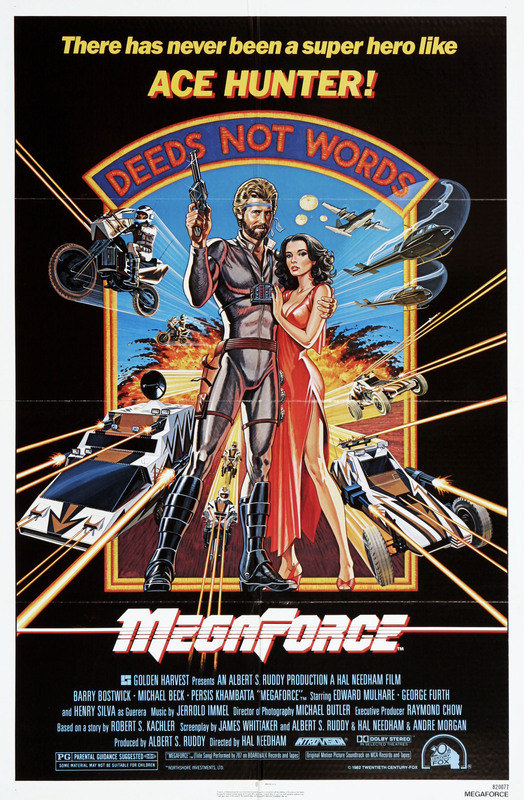 The group calls themselves Megaforce and is led by the charismatic Ace Hunter (Barry Bostwick) who at one time was friends with Gurerra and the two play an intricate game of cat-and-mouse as they both try to deploy an attack strategy that will stop the other. 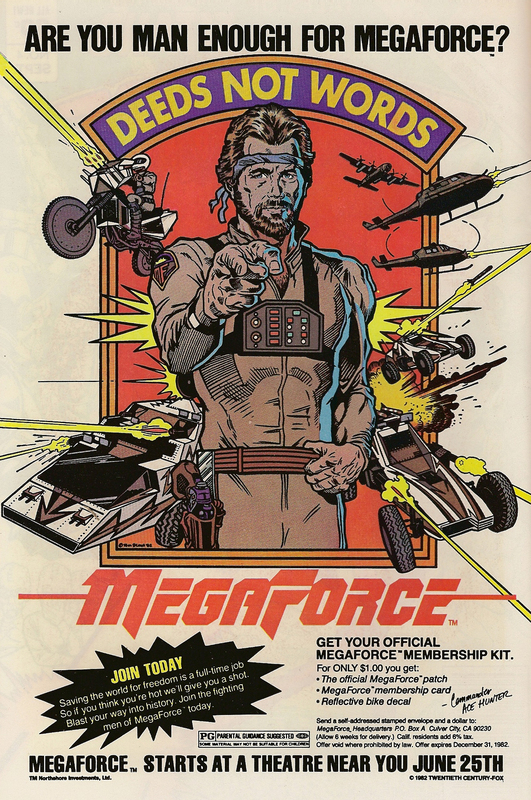 One of the biggest problems with the film is that it was directed by Hal Needham a former stuntman who had some modest success directing such southern fried action flicks as Smokey and the Bandit and Hooper, but clearly has no clue how to do a comic book-styled action flick such as this. The film teeters between being campy and comical to innovative and slick, but ends up failing on both ends. The main problem is that Nedham (who also appears unbilled as a technician) lacks any true artistic vision while showing no appreciation or understanding of the comic book genre or its readers and creates an empty-headed, unimaginative premise with wooden characters and dialogue surrounded by a lot of action and effects, which he thinks will be enough to save it, but really isn’t. The eclectic cast is interesting. Khambatta a beauty queen from India who is probably best known for playing the bald Ilia in Star Trek: The Motion Picture is on hand as the love interest to Bostwick. Michael Beck who was just 3 years removed from his star making turn in the cult hit The Warriors plays a southern bred member of the Megaforce team. 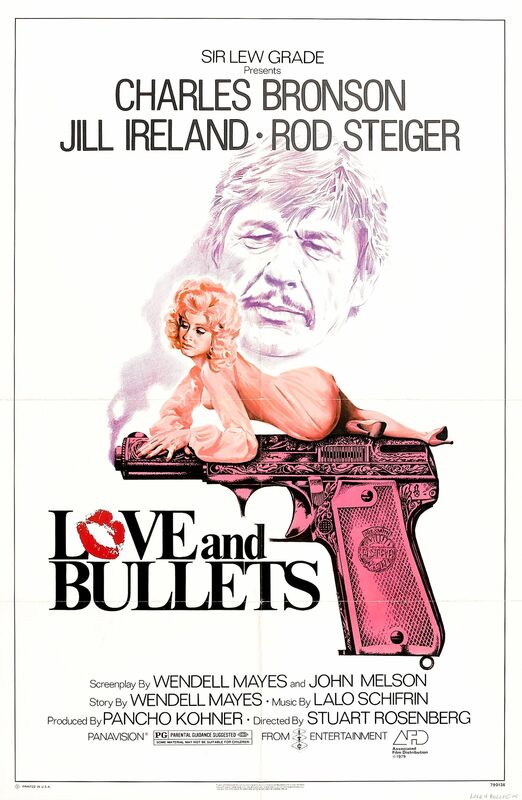 Silva, who’s played many memorable villains in his day camps it up as best he can with the limited material and Bostwick, who nowadays looks very old and elderly, sashays his way in some incredibly skintight uniforms and looking almost like a male model. The only reason I’m giving this embarrassment 3 points instead of the 0 that it really deserves is because it does fall into the ‘so bad its good category’ that almost makes it worth catching. The best of the worst is Needham’s use of matting a character over a blue screen to make it look like they are flying in the air. He does this twice once when Khambatta and Bostwick go parachuting out of a plane and then at the climactic finish when Bostwick uses his motorbike to fly up to a plane. In both instances the effects are so hilariously awful and obvious that it becomes memorable and worth the price of the rental.